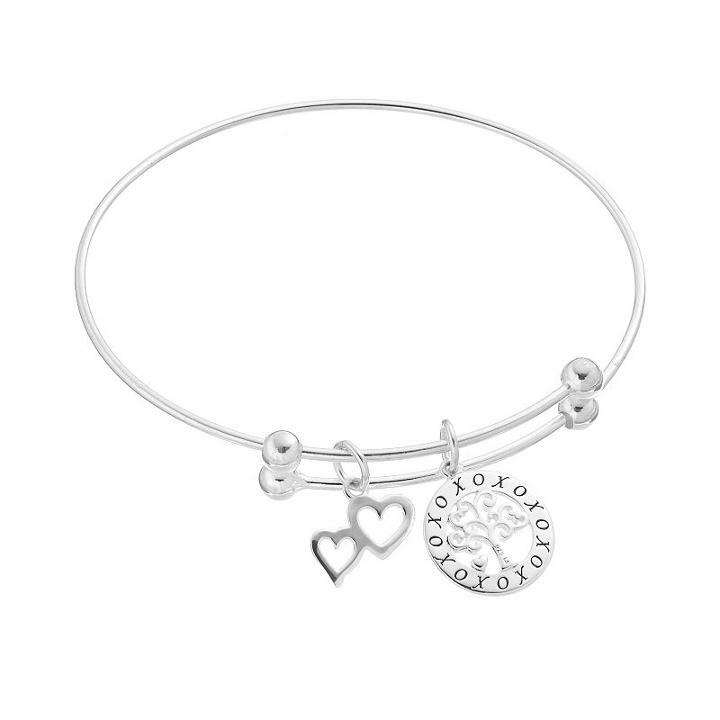 Keep the love of your family close at hand with this beautiful family tree and double-heart charm bangle bracelet. Comes in a gift box. Bracelet Details Diameter: one size fits most Metal: sterling silver Inscriptions: My Family My Love.' Xoxo Gender: Female. Age Group: Adult.